I am inspired to share some random photos I have taken over the years. And so begins the Photo for the Day Series, which will run for 76 days, ending appropriately on April 6, 2014, 4-years after this blog first began (first inspired by the Paris-Roubaix classic bike race in France). My photo series will feature one main photo and sometimes a couple extra bonus shots when appropriate. In honor of the Tour Down Under which begins tomorrow in Adelaide, Australia, which to me marks the start of the 2014 road bike racing season, here is a photo of the great sprinter Aussie Robbie McEwan (born in Brisbane), on his final day(s) of retirement. 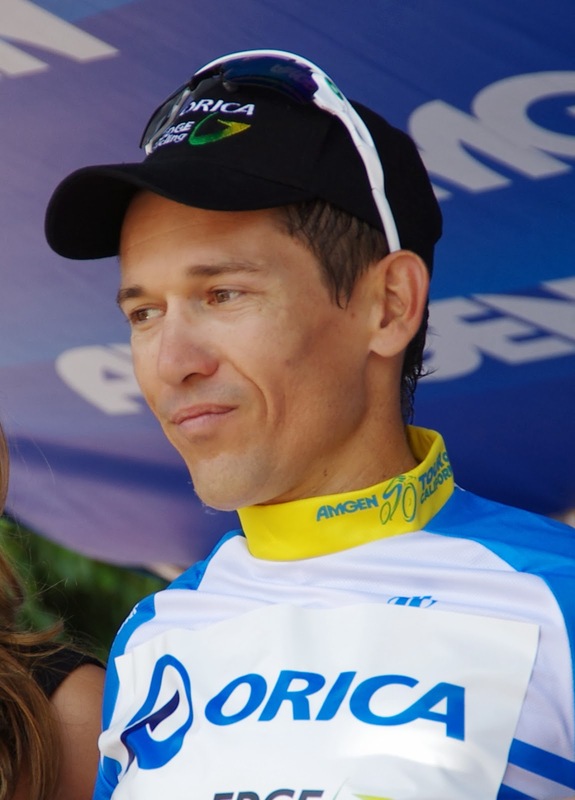 Robbie McEwen is no longer technical adviser to team Orica-GreenEDGE, instead he will be assisting Phil Liggett and Paul Sherwen with race commentary for this week's 2014 Tour Down Under. 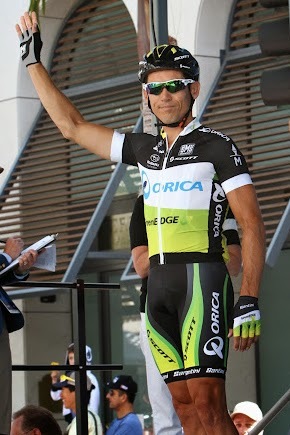 You can also follow Robbie on Twitter @mcewenrobbie. Also read The Great Australian Road Trip, a journey 2000 miles from Brisbane to Adelaide, just to attend a bike race.